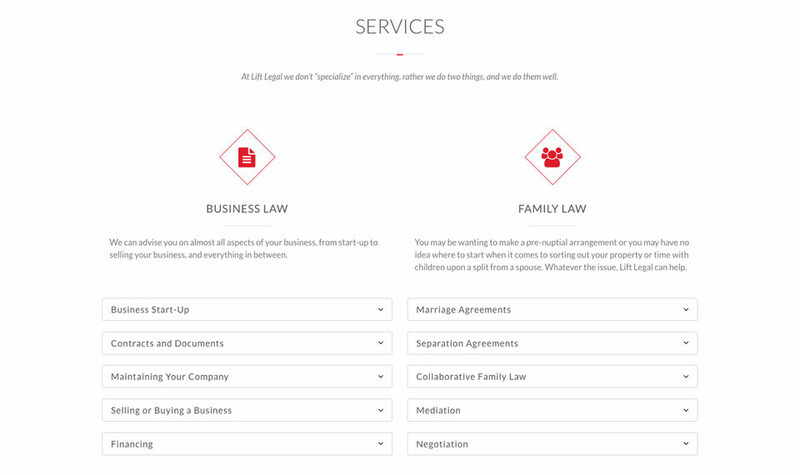 Working directly with Mel Garbe, founder of Lift Legal. Mike designed a website with a unique identity that is unlike typical law firms and is reminiscent of a mid-century modern era. 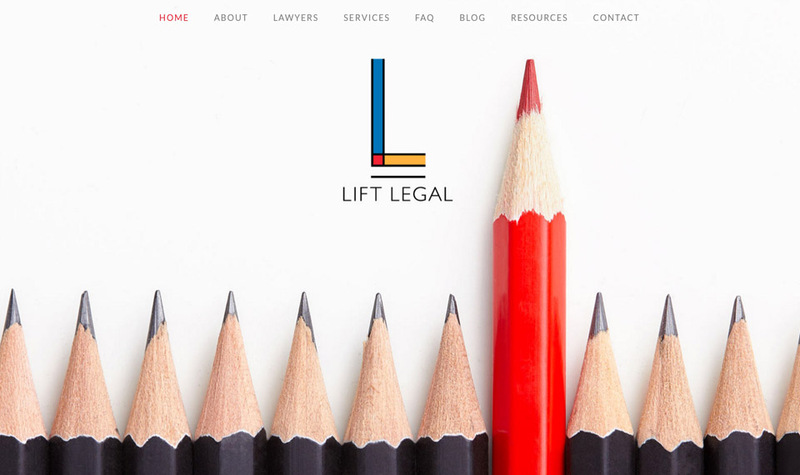 Lift Legal’s mission is to give their clients a ‘lift’ through the legal process, and they wanted that to be reflected in the logo and website. The site includes a distinctive and modern logo that incorporates bold colours commonly used throughout the website. 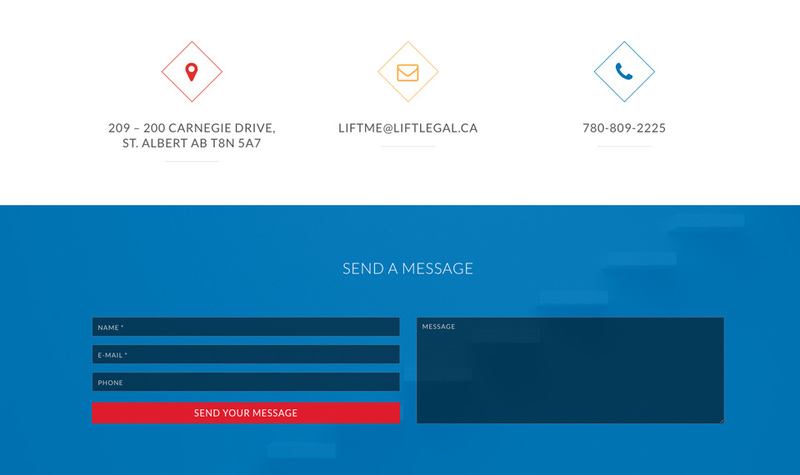 The website uses HTML5 animation elements to reinforce the company theme and brand of “lift”.